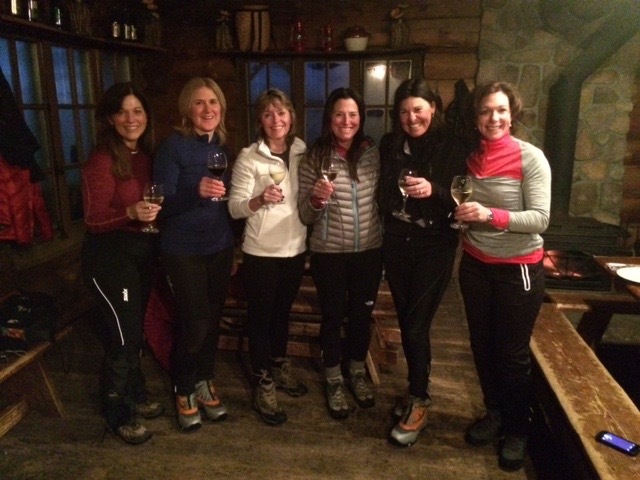 This winter, I had the idea of forming a group of six women from the Montreal area to go do a snowshoeing activity in Tremblant. 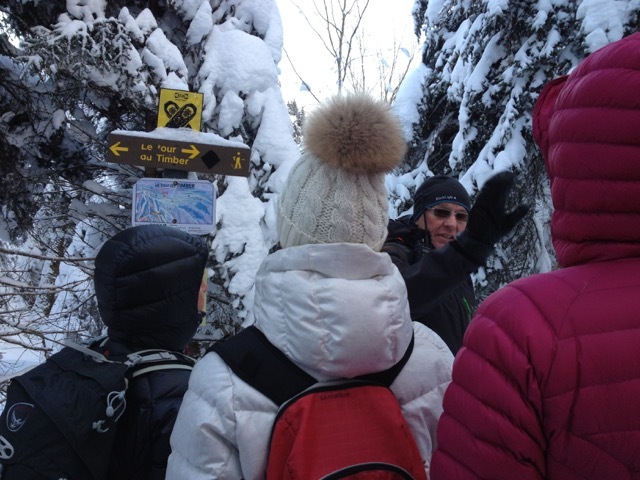 On site, we are welcomed by Peter Patrick Dion, our guide, who knows the mountain very well. From the outset, he baptizes our group Les Gazelles. 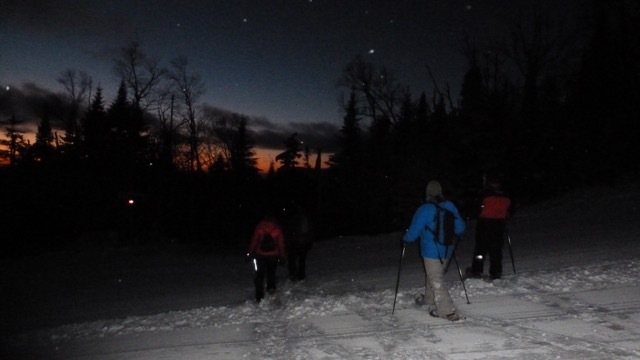 We are in shape and very happy to be heading out on this activity even though it’s a chilly -18C on our arrival at the summit of Mont Tremblant! What a chance to be at the top when there is nobody. We are alone with our guide … in a lunar landscape! The cold is not an obstacle, because we are accustomed to less temperate weather. 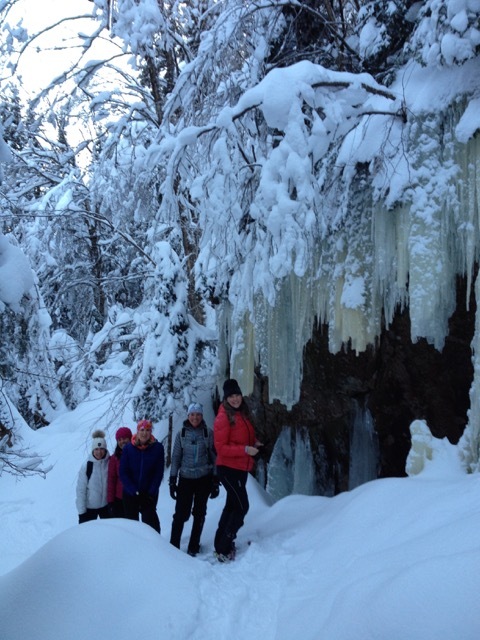 We start hiking in a magical setting, within a magnificent forest overrun by light snow. 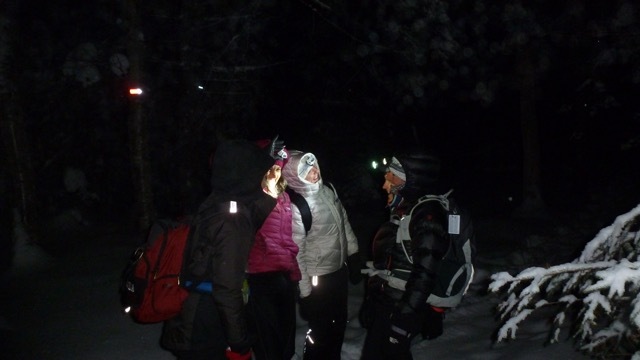 Our group is fast and dynamic and Pierre proposes to extend the trip before arriving at the shelter. We are very happy to spend more time in nature. The colors of the sky change as we move forward and the moon is watching over us. Once we reach the shelter, we’re looking forward to warming up. What a nice surprise! The refuge is gas lit and a hot wood stove awaits us. Quickly a glass of wine finds its way into our hands and the preparations for our meal begin. Exquisite cheese fondue with multiple choices of salads and cold meats and a variety of sausages fill us up nicely. Not to mention the famous chocolate fondue for dessert! The descent is a joyous moment and the darkness seduces us. 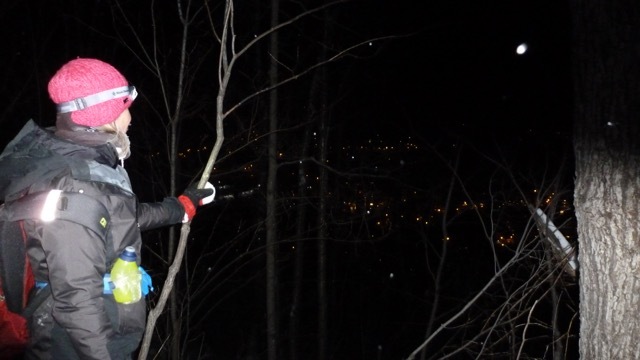 Our headlamps and our good legs take our fulfilled selves safely to our starting point. 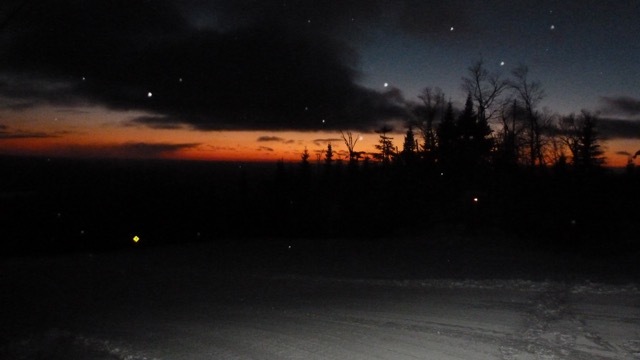 Thank you to Peter and Tremblant for this ingenious activity, we intend redo it again soon!